We are proud to relaunch our newly designed website www.teliver.io. We have redesigned it with developers in mind, streamlining menus, simplifying navigation and providing more information and resources on our product and services. We encourage everyone to visit and explore the site. 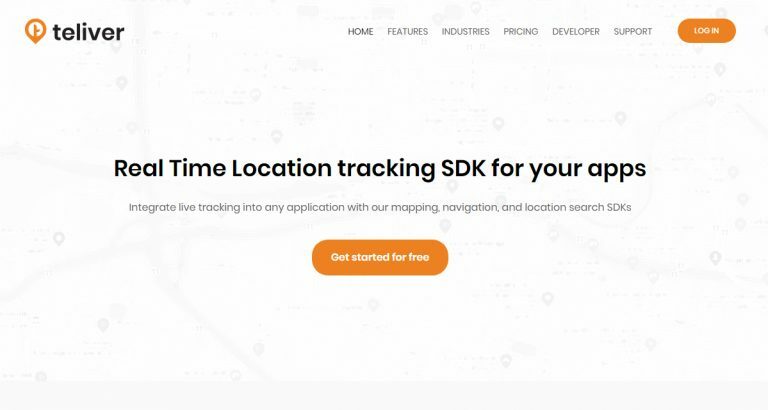 To provide the user a real value, we changed the structure of our website providing all the data and resources of our product.Real Time Location tracking SDK for your apps Integrate live tracking into any application with our mapping, navigation, and location search SDKs. Teliver enable developers to build anything they can envision with location. We are entrepreneurial engineers with worldwide experience. We make it possible to assemble location features, which would otherwise take many months, within minutes and hours. This opens a universe of thoughts that are generally secured in the hearts and psyches of inventive designers crosswise over businesses and nations. Teliver is supported by top business people, and a consistently developing group of developers, clients and partners. Teliver is a platform that provides Live tracking API, SDK for developers (Food delivery app, Medicine delivery app, grocery delivery app). We offer a complete set of API’s so that you can integrate Live tracking in your service quick and simple. Teliver provides real time Live Tracking API, SDK to on- demand industry. Teliver act as a developer’s tool by providing simplified Live tracking. Live location sharing was an extraordinary shelter to all individuals who were stranded and required help. The requirement for this was principal and gradually did the populace choose that a considerably greater and precise solution would be much more helpful. Live tracking made heads of various businesses turn. What is more, the live path and location sharing of this application was an even bigger step towards an informed customer infrastructure. The implementation of this technology in all businesses requiring it has been made simple with Teliver. Somewhat more research on the execution of live tracking can enable them to recognize that there are SDKs accessible for live tracking as well. For instance Teliver which happens to be a live tracking SDK takes not as much as an hour to execute in a versatile application and furthermore gives free intends to their kindred maturing new businesses. Such options can be utilized by these new companies to effectively actualize live tracking in their portable application. On-Demand Industry has never stopped to shock the general developing business sector and will keep on doing so. But, the deal with Live Tracking is something of more noteworthy essentialness. Live tracking starting at now is just the entryway and the world past is yet to be investigated. Live Tracking Analytics could be of a much differing group, as it will measure the business change pointers. However, as stated, the market we work with is dependably up for surprises. Teliver is the correct way for sustenance conveyances to be tracked through a mobile App. Customer is kept informed of where the food is and also notified with custom events require by deliveries. It is currently a known and obvious reality that consumer loyalty is the thing that contributes the most to a business and to achieve in this zone is no simple assignment. But heeding to their needs of thee consumers a few amendments and enhancements pave way to a better business administration. Teliver does precisely the same to the food delivery industry. After acknowledging and hearing out the client needs, Live-Tracking for the last mile deliveries is now achievable. 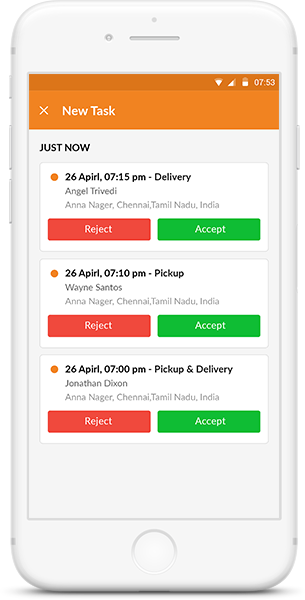 A simple integration process into the host app is all that is required and a full-fledged live tracking capability is induced in the app from which customers could track their deliveries right from the app. A simple yet authoritative solution for your app that serves the customers not just food but also something they have been craving for. Teliver delivers an easy-to- adapt kit for both Android and iOS, making the integrations as smooth as possible. In addition to this the customization options are the one to look out for. Unlike services providing a half filled bucket, Teliver goes a bit further by providing its clients micro-detailed customization options. Either concentrating on the functional aspects or the visuals, Teliver walks a step ahead and provides micro level customization. Which Business sectors will Teliver be suitable for?